This is the second blog in a short series of blogs on the recent popular phenomenon of Massive Open Online Courses (MOOCs). The first blog on their development, the backdrop and the history, is here. In this blog I’ll be discussing how MOOCs can differ drastically in terms of their pedagogy and culture. I’ll explain the two most prominent types of MOOCs and provide a comparison of these two types of courses. I’ll set out a definition again for MOOCs as this: A massive open online course (MOOC) is an online course that is open access and available to unlimited numbers of learners. Generally, there are no prerequisites, fees, or required levels of participation with learners taking part on a voluntary basis. Since their initial emergence around the turn of the last decade, MOOCs have split into two types of radically different courses. While there is academic debate over this split and how the different types of MOOCs can be described, for the purpose of this blog I’m going to use the popular classifications of cMOOC and xMOOC. cMOOCs are associated with connectivist approaches with a greater social approach to learning. Early MOOCs, which continue today as what we define as cMOOCs, were based on excellent pedagogies which considered, utilized and capitalised on participants’ existing skills, knowledge and individual contexts. This capital was tapped into via the use of a variety of Web 2.0 and social media and group assignments, and embraced the social nature of learning. Essentially, the connectivist oriented cMOOCs feature little actual content. Learning is achieved through discussion, content creation, and the creation of connections. xMOOCs are associated with a greater emphasis on individualist learning. They are often criticised as having very old and out-dated behaviourist pedagogy, often relying purely on the transmission of information through texts and videos, computer-marked assignments, and peer assessment. Some academics have articulated the contrasting approaches by stating that the cMOOCs model focuses on creation, creativity, and social networking learning while xMOOCs emphasise a more traditional learning approach of video presentations and short quizzes and testing. Put simply, cMOOCs promote the creation of knowledge and xMOOCs look to duplicate knowledge. In the above video featuring Dave Cormier and George Siemens, Siemens asks a very pertinent question. He asked whether in the design and facilitation of MOOCs, should we reproduce the structural elements of traditional classroom learning, emphasising content drilling and quizzing, which prepare people for the knowledge structure of the exclusive expertise model of the present and the last half a century, or should the MOOC focus on the knowledge structure of the future with a networked and distributed approach. To put that in simpler terms (maybe), should MOOCs prepare people for the way we’ve always been taught in schools where we read something before being tested on whether we’ve achieved the learning objectives in an educational environment where our attendance and success are based on being able to afford it or being geographically close enough to have the opportunity and what is learnt cannot be learnt outside of this traditional framework. Or should MOOCs prepare us for what the advent of the Internet dictates the world will be and possibly already is for many, a place where everyone can learn wherever they are as long as they are plugged into the necessary networks where they can find the required information which is digital and therefore free to disseminate? As I mentioned earlier, I thought it might be illustrative to take a look at two MOOCs that fall into the different cMOOC and xMOOC categories. The first is the cMOOC Digital Storytelling 106, more popularly known as ds106, an open online course on the subject of Digital Storytelling at the University of Mary Washington. 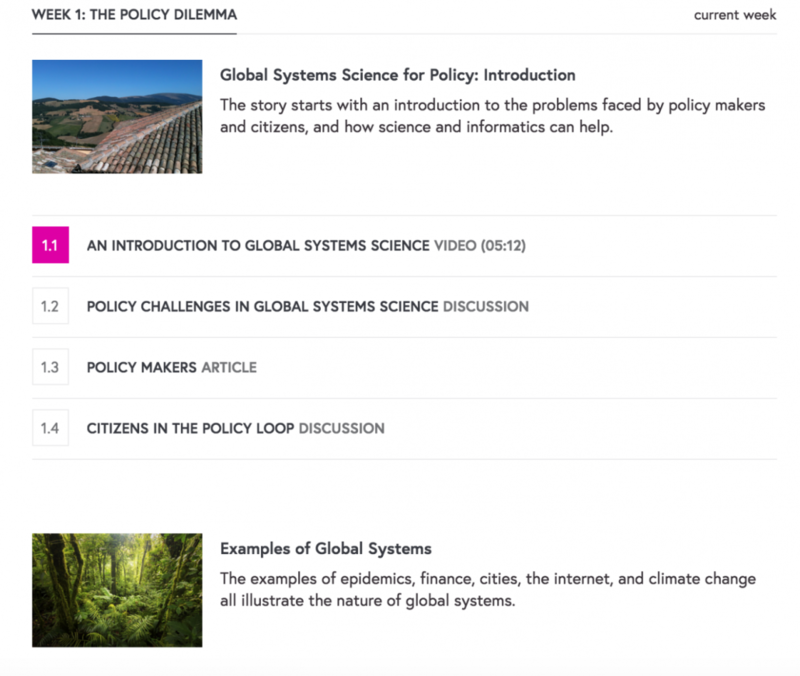 The second, an xMOOC, is FutureLearn’s Global Systems Science and Policy Introduction course. DS106’s ‘Quick Start Guide’ appears the very antithesis of ‘quick’ where immediately there is the necessity for an existing blog page and a Twitter account and a Gravatar that need to be registered with ds106 for collaboration and communication purposes. This is potentially time consuming, but there are links to the relevant pages and the content (or lack thereof) of the course necessitate all of these tools to participate in the course. 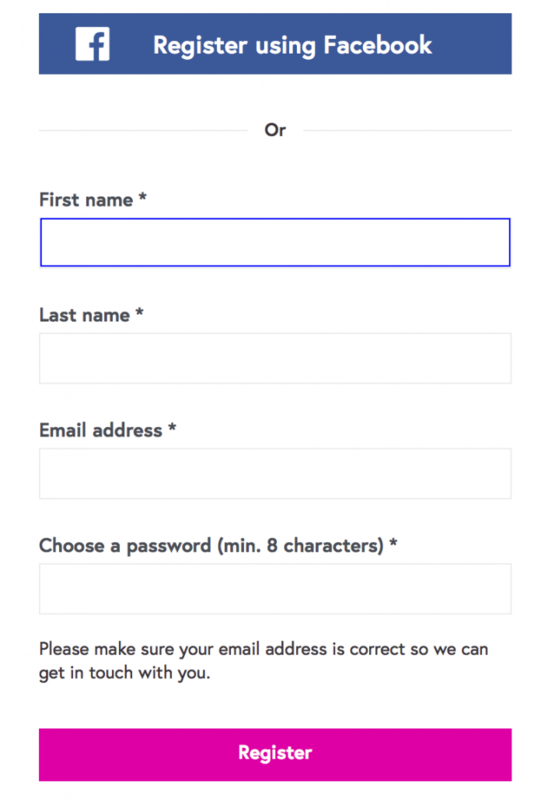 FutureLearn’s signup on the other hand is far simpler and less text-heavy with pretty much just an email and a password or a signup via a Facebook account, much like signing up to many online services, so it should be within the capabilities of most learners. All tools to take the course are found within Future Learn’s framework. DS106 is text-heavy and navigation seems based on previous experience of other sites. It has a far less polished and chaotic Web 2.0 style aesthetic. FutureLearn’s menu system is very clean and easy to follow. There are images and clear titles to find areas and courses. FutureLearn is far more professional in appearance. Very modern in terms of the web design style. A fundamental difference, however, is that FutureLearn provides a platform for many institutions to hold what appear to be much smaller more focused courses of around 6 weeks work. DS106’s whole site is dedicated to one course or the main focus of the learning, digital storytelling. So much of the content immediately strikes you as learner-generated. I’d have to add that as DS106 focuses solely on one area of learning, or one collective pursuit, its website could be considered simpler in that regard. However, there is perhaps a great deal more learner autonomy required and a greater variety of digital literacies. Nevertheless, by adding your blog and Twitter at the beginning of the learning journey, you do get the immediate feeling of being a part of a community. That connection is immediate. This is something termed as ‘presence’. It is vital for participation and interest retention. It’s something I’ll be exploring in my next blog. What do you think? Do you have personal experience of the policy dilemma? Have you been involved in policy at any level that turned out particularly well or badly? Do you think science can help in making and implementing policy? Please share your views and experiences by adding a comment below. This is reflective comment area which helps the learners apply the concepts introduced in the video and that will be covered in the course to their personal context. This is an important initial activity and is one I am familiar with myself from half a decade of studying with the Open University (who own FutureLearn). However, with these areas being for all users and numbers of comments in the many thousands, it is unlikely that genuine interactions and relationships would be fostered in this fashion. This really supports the friendly, informal, personalized and learner generated spirit of everything within this community. It doesn’t take itself too seriously, but it also provides valuable insight into what the course will cover in a far more interesting way than a dry list of activities and learning objectives. As the video details, the task based freer approach tied in with feedback and help from other members had the learner ‘learning by doing’ and within weeks was accomplishing things they had never undertaken before. This guided community of practice was generating real practical artefacts. For example, the learner created the video itself incorporates and was generated with the skills learnt in the course. It’s an excellent illustration of a course that produces results which themselves serve as the means of production of future courses. This sustainable and dynamic model is very attractive and pulls the learner in so much more than the rather staid traditional xMOOC style of FutureLearn. The pedagogies differ greatly between the two MOOCs. Professor Anna Sfard described two metaphors of learning that rather simplify how we can perceive the process of learning (though it is no simple matter of course). These are the acquisition metaphor and the participation metaphor. Essentially, we acquire knowledge and then we use it. FutureLearn’s Global Systems Science and Policy MOOC is overwhelmingly that of acquisition via the videos and reading texts with no utilization of the content past some cursory reflection posts. In contrast, the DS106 MOOC has an overwhelming focus on participation. That participation is the learning as are the connections that are generated within the community of like-minded learners and interested parties that produce the help and advice that engender the production of content through the facilitating activities. ds106 supplies no real content save a place for those likeminded learners to gather, make connections, and become a part of a community of practice. It’s difficult to not be critical when looking at the approaches and what you would potentially derive from the respective courses, but we need to remind ourselves that these are very different courses. They’re different in length and time investment with ds106 demanding far more of your time and dedication than the very short FutureLearn course. They also focus on very different fields of study. The nature of ds106 being a digital storytelling course means that it necessitates creativity and it can afford to be meta in its delivery and how so much of the course content is learner-generated. The Global Systems Science for Policy course, on the other hand, is not one that might lend itself to the same kind of creativity and freer open learning. FutureLearn’s course has, I believe, a fantastically efficient and intuitive user-experience. You can sign up and enrol on a course in seconds and be learning about one of the hundreds of varied fields of study almost immediately. It’s crisp and clean and utterly accessible. The videos and quizzes are well made and everything is well presented and simple in its organisation. If it were a meal, it could arguably be a McDonald’s Big Mac. Well made, well presented, consistent, fast, and it fills a hole and once you’ve eaten it, you can head straight back to the counter and be eating a McChicken sandwich within minutes. ds106 is, on the other hand, a dinner party. You’re hosting and cooking a lot of the food yourself but you’ve invited a lot of guests. You don’t know any of them and they’re coming from all walks of life and they’re travelling from all over the world and bringing with them their own experiences, knowledge, and jokes. It’s going to be messy, interesting, difficult at times and you may want to leave at certain points during the evening. However at the end of it, you’ll have done a lot of work, learnt a lot from the other guests and the dishes they’ve brought, you’re probably a little drunk, and there’s going to be a lot of cleaning to do in the morning. 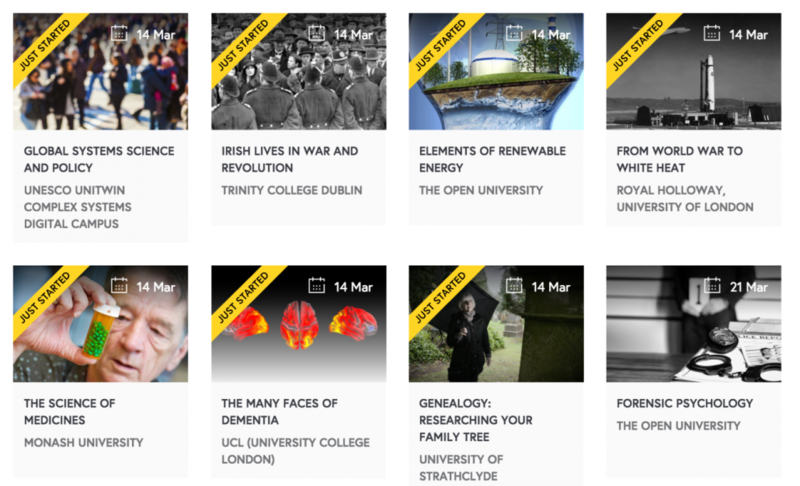 I will in a future blog explore the Digital Storytelling 106 MOOC in greater detail as I think it’s a tremendously important course in terms of how it’s facilitated and the innovations it represents and has engendered. One of the things that it’s important to consider is whether other courses, such as the Global Systems Science for Policy course, can be run with a similar approach.